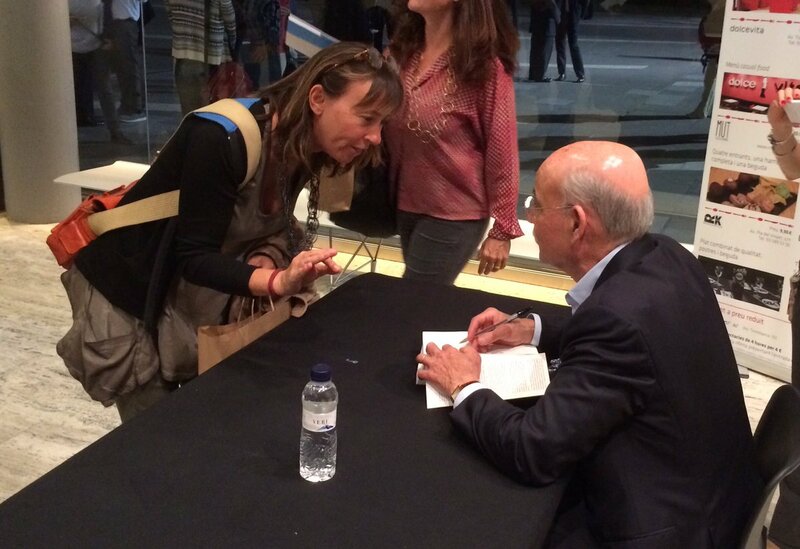 On Wednesday September 21st, Jeremy Rifkin came to share his vision for the future of Catalonia and Europe with politic leaders in a public presentation in Sant Cugat. Jeremy Rifkin propositions relay on 4 propositions, one of those is the Distributed Manufacturing lead by FabLab all over the world. Jeremy Rifkin is advising the governments and leaders of nearly all G8 countries. Angela Merkel, Barack Obama, and Xi Jinping are amongst the head of states that listen Jeremy Rifkin’s advice to avoid the collapse of our economies and the exhaustion of our planet’s resources. His propositions are based on the premise that our growth based and oiled based economies are not sustainable. This economical mechanism together with the over exploitation of the planets resources have led to both an unprecedented impoverishment of the planets ecosystem, and an irreversible rise of the planet’s temperature known as global warming. FabLabs spearhead the deployment of distributed manufacturing. The ultimate goal of FabLab is to develop a connected network of local manufacturing facilities, providing the tools for artisans and entrepreneur to produce locally anything from machines to furniture, to organic products.